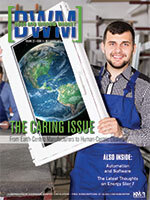 Are you a current DWM subscriber? INSTRUCTIONS: Check the advertisers that you would like to receive information from. If your subscriber information is visible above, you can click the "Send Request" button below and your information will be automatically sent to the advertisers that you have selected. If you are a non-subscriber or a subscriber who is not recognized by our system, you will need to provide your contact information in the form below. By using this service and completing this form you agree to allow the publisher to contact you by phone, fax and/or email. Please only click the send request button once. Selections may take a few seconds to process. DWM™ is a registered trademark of Key Media & Research. Copyright © 2019 DWM Magazine™. All rights reserved.